PRP treatment has been utilized in many different medical specialties over the past two decades, but the area of sports medicine with PRP application has gained momentum in recent years. With high profile professional athletes such as Steph Curry, Tiger Woods and Hines Ward using the treatment with success, PRP has acquired the attention of the medical community and the general public. Recent studies have shown that PRP therapy can be (or has the potential to be) helpful in treating many stubborn orthopaedic conditions. PRP treatment has been used across many different specialties. One of the hottest topics these days is its use in the world of sports medicine and musculoskeletal injuries in the office setting. Because PRP is relatively easier, safer, cheaper and in many cases just as effective as surgery, it holds great promise as an office-based treatment. Every PRP physician may have a different protocol as to how and when they may recommend PRP from among their arsenal of treatments. In my experience I find its use is most effective for two categories of patients. The first category is the patient with a chronic tendon injury. Examples are patellar tendinopathy (jumper’s knee), quadriceps tendinopathy, medial epicondylitis (golfer’s elbow), lateral epicondylitis (tennis elbow), etc. Common treatments for these injuries include rest, activity modification, ice, anti-inflammatories, physical therapy, massage and cortisone injections. When patient have been through these types of therapies and continue to have symptoms they are often told to consider surgery. These are perfect candidates for PRP treatment. The second category is the patient with an acute ligament, muscle or tendon injury who may benefit from PRP in order to speed up the healing process. 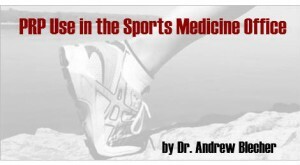 Examples are MCL injuries, UCL injuries, AC sprains, hamstring tears, calf tears, partial Achilles tears, etc. These injuries may heal on their own over the course of 8-12 weeks. By treating them with PRP acutely, we may be able to speed up the recovery process. In all cases however, there is very limited scientific evidence in terms of long term prospective randomized controlled studies to prove the benefits of PRP treatment. Although there have been thousands of satisfied PRP patients, the limited scientific evidence is often a reason why insurance companies may choose to deny coverage for these treatments. Insurance reimbursement for PRP varies greatly from company to company and state to state. While one physician may claim that 100% of insurances cover PRP, in a another state there may be 0% coverage. Another determining factor is how the procedure is coded. Typically a PRP procedure includes three main components. Drawing the blood and spinning it down to separate out and concentrate the PRP. Using ultrasound guidance to identify the area to be injected and to visualize and guide the injection. Some physicians do not utilize ultrasound guidance, but I personally believe that it is critically important in order to provide the best results. The injection itself. In the past, the codes for each of these components has been separate and thus insurances may cover none, some or all of them depending on their policies. More recently, however, a new T-code has been assigned that includes all three components in one code. Many insurance companies are still developing policies for re-imbursement of this new T-code but I am hopeful that more and more of them will be covering it in the near future. Since many insurances do not cover PRP treatment, many physicians may provide PRP treatment on a cash basis. You may find prices ranging from $250 to $2000 depending on the physician, whether they use ultrasound guidance and what type of system they use to produce the PRP. These are all important questions for the patient to ask. It is also important to ask about follow-care. A brace, boot, crutches, etc may be need immediately after the procedure and physical therapy is often prescribed as well. These will incur additional costs. Another confusing point is that PRP is often described as a covered part of a surgical procedure. When PRP is done in the operating room in conjunction with a surgery the patient is often not billed for the PRP component (regardless of whether the insurance reimburses it or not). However, when PRP treatment is provided as a stand alone procedure in the office setting, the patient can expect to be billed if the insurance does not cover the procedure. There is no question that PRP use in the office for musculoskeletal injuries has come on to the scene relatively quickly. At this time it is fair to say that the research, coding and billing components still lag behind. However, as long as thousands of patients keep experiencing benefits, it won’t be long until it becomes a mainstream part of our treatment paradigm. Portions of this page about PRP Use in the Sports Medicine was written by our specialty expert Dr. Andrew Blecher. We always recommend consulting with a physician about the use of PRP, and if it is the right treatment for the patient. If you need help finding a doctor or clinic in your area to treat your sports medicine injury — first look in our partner clinic directory. 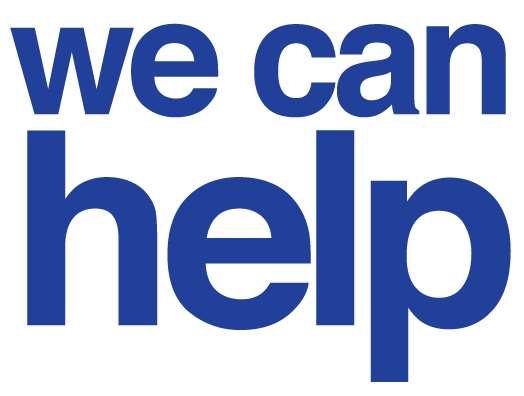 If nobody is listed in your area, fill out this form and we will help you find a reliable clinic right away. Need PRP help for a sports related injury or pain? We can help get you connected with a PRP clinic in your area! Fill out the form below. Are there any side effects that I should be concerned with following a prp injection treatment for tendonitis? What percentage of patients that have PRP treatments for torn meniscus end up getting positive results? How Can I Sit Comfortably After a Hamstring PRP Procedure? Can PRP help with many foot problems? What kind of exercises are best to help regain strength in the quad and hips after doing PRP Therapy? Will my elbow be stronger after having PRP Treatment? How Important is an Ultrasound Machine When Injecting PRP? Days rest needed? Time Interval Before Another PRP Shot? How Many Shots? Is PRP for me? Is PRP a suitable alternative to surgery for my elbow issue? Can people with any type of anemia do prp injections? Track Star turns to PRP in hopes of joining Olympic team! Will PRP Treatment Save Stephen Curry and the Warriors?